The 2017 New York Baby Show is happening again on May 20th & 21st at Pier 94. It will once again be the largest show for new and expectant parents in the country. Last year we told everyone our Top 3 Registry Picks (http://bit.ly/Top3Registry) and It was a Tough choice... This year you can make your OWN Choices as to what items you think are the best! We've left with Strollers, Bags, and even Car seats and Gift card prizes! 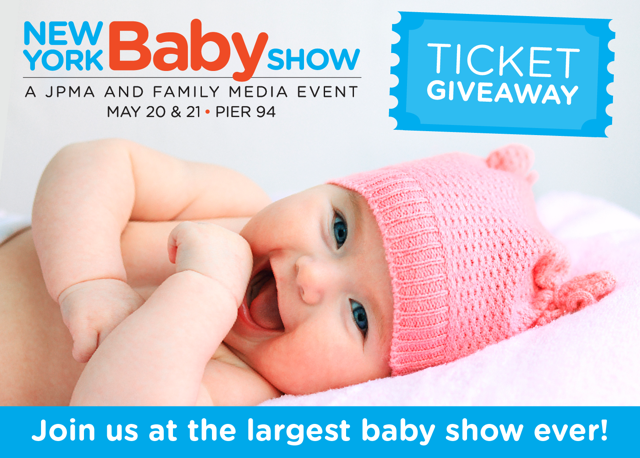 You can score 1 of 10 tickets to The New York Baby Show if you follow this Link! Now in its 7th year, no other event provides a better experience for thousands of expectant and new families from New York and neighboring counties, seeking a family-friendly jamboree of top brands, great speakers and seminars, big giveaways, and lots of learning, support, bonding, and fun as you make your way into parenthood. We are giving away tickets for you and your family to experience the show. See below for details… etc. Normal ticket price is $30 per family (for 2 adults and up to 4 children), and $20 per individual.